Cristine Rottenberg was born on October 17th, 1988. 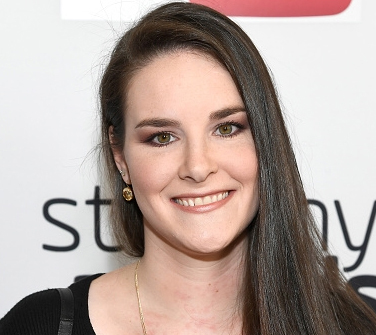 She is known for her nail art tutorials on Instagram and YouTube, known as Simply Nailogical. Her popularity is skyrocketing with more than 3 million subscribers on YouTube and more than 1.4 million Instagram followers. In addition to her nail tutorials, Cristine works as a crime statistics analyst for the Canadian government. In 2016, Cristine appeared on the TV series YouTubers React to Chair Flip Challenge Compilation. When Christine was just a child she acted in the Furby and Fib Finder commercials. She quit doing that at age 13. When she was 12 she had the pleasure to meet Gena Rowlands and Mimi Rogers on the movie set of the 2002 TV movie Charms for the Easy Life in which she portrayed Sophia. Her love for nail art began as a youngster, way before it became the hot subject it is today. Her mother was a big part of Cristine quitting acting as a child because she didn’t want her to be corrupted by the entertainment industry. Since she is relatively shy, that suited her just fine. She is dating Benjamin (Ben), who has appeared in some of her videos. They have known each other for years, dating back to her college days. Her two cats, Menchie and Zyler, are precious to her, so much that she refers to as her fluffy children. She is a huge cat lover.